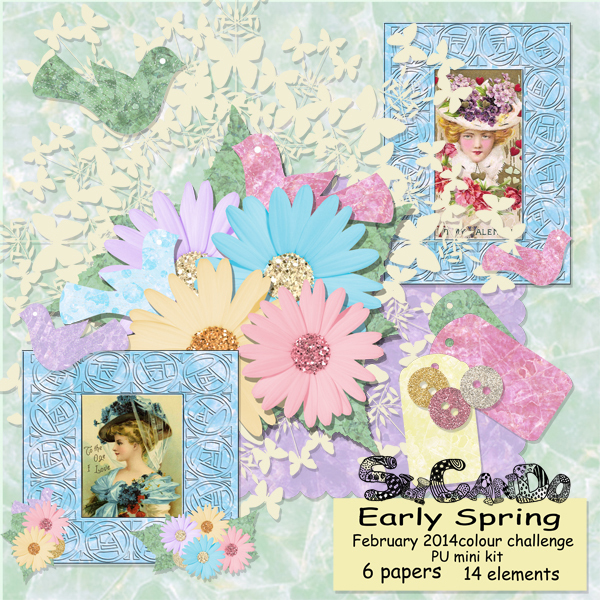 Early Spring was created with the colour pallet from the Age of Aquarius kit for ADB Design’s February colour challenge at the Scrapbook Studio. The colours remind me of the fresh greens and pastel colours of new spring flowers and budding trees. It has been such a cold winter for most of us this year and making this little kit has been an escape, even if it’s only been for a little while. The elements are soft and gentle like the first days of spring … lilacs, crocus and the new buds on the trees. 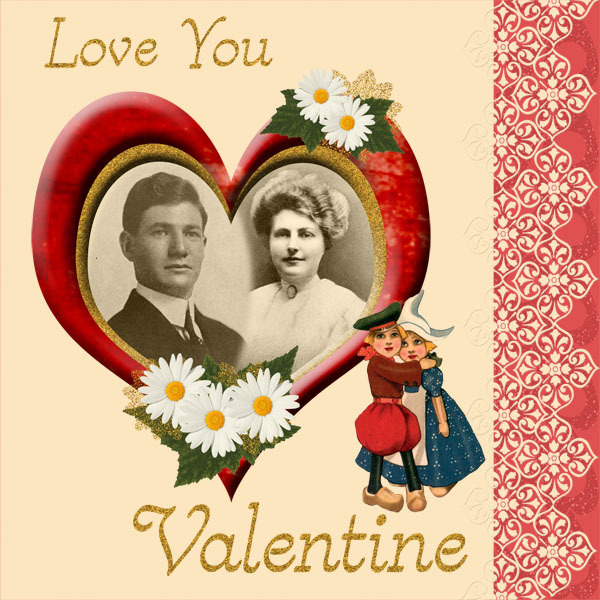 For this kit I chose two vintage valentines with two little Dutch boys and a girl. They are adorable, especially the little girl and boy. 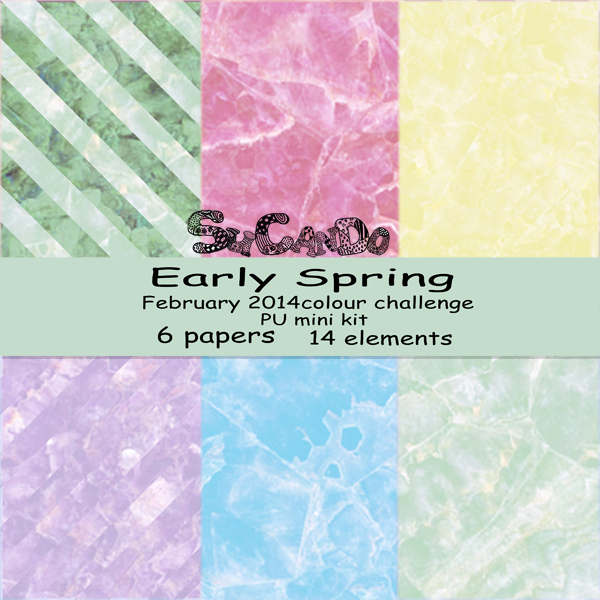 Enjoy creating with this kit. You can pick up the kit at the links below. Here is a page using the kit. With the glitter and laces and tags you can create something special for your Valentine’s sweety. February means valentines. Meet Fantasia who loves to dress in hearts and glitter. Print her out and give her to your best little valentine this February 14th. She would love to come and play with her.